As the New Year begins, a terrifying evil is stirring from across the centuries of Earth’s history. As the Doctor, Ryan, Graham and Yaz return home, will they be able to overcome the threat to planet Earth? Written by Chris Chibnall and directed by Wayne Yip. The Doctor is played by Jodie Whittaker, Ryan by Tosin Cole, Graham by Bradley Walsh and Yaz by Mandip Gill. 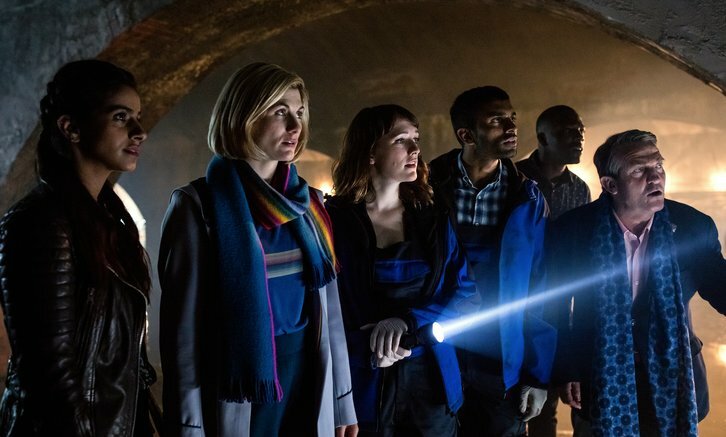 With 2018 marking a brand new era for Doctor Who it is only right that 2019 kicks off in spectacular style. So to mark the occasion, in this year’s festive episode the TARDIS will travel through the time vortex from its traditional timeslot on Christmas Day and will land in style on New Year’s Day. Kick off 2019 in spectacular style with a New Year’s Day special episode of Doctor Who on Tuesday, January 1st, moving from its traditional Christmas Day timeslot. Leading up to the first-ever “Who Year’s Day,” BBC AMERICA will present a Doctor Who marathon, starting with all the Christmas specials at 12pm ET/PT on Monday, December 24th, going into the big day itself, Tuesday, December 25th. After that, it’s a marathon of all the Doctors, starting with Peter Capaldi, followed by Christopher Eccleston, David Tennant, and Matt Smith, leading straight into the New Year’s special on Tuesday, January 1st. The all-new episode is written by Chris Chibnall and directed by Wayne Yip (Preacher, Dirk Gently’s Holistic Detective Agency). As the New Year begins, a terrifying evil is stirring from across the centuries of Earth’s history. Will the Doctor, Ryan (Tosin Cole), Graham (Bradley Walsh) and Yaz (Mandip Gill) be able to overcome this threat to Planet Earth?